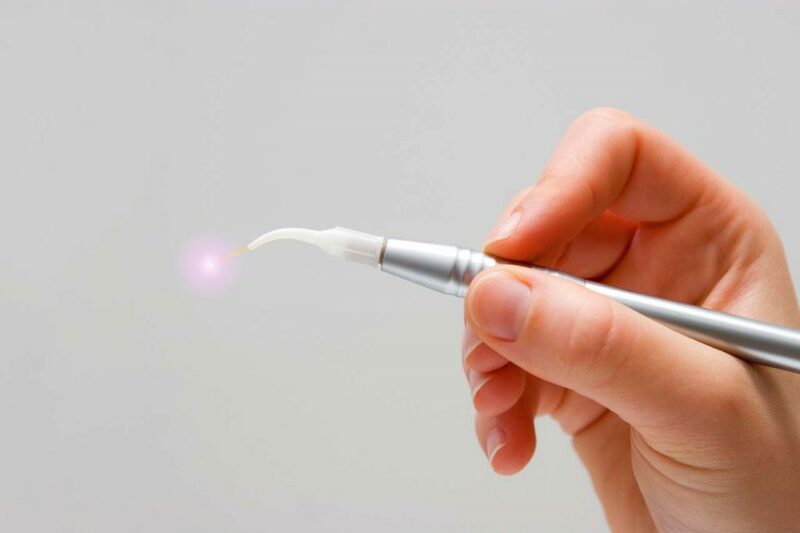 Lasers are one of the new exciting technologies in dentistry. There are different types of lasers with different purposes. There are lasers that can cut gum tissue, ones that can drill and prepare teeth, and others that can cut away bone. The most common is the soft tissue laser, called a diode. This is used to help remove excess gum tissue, stop bleeding in the gums, remove nodules on the lips and inside the mouth, heal canker sores and do frenectomies. Lasers are an exciting new thing in dentistry. They allow us dentists to do things we weren’t able to do as easily before. I most often use my laser to remove excess gum tissues and stop areas from bleeding. It’s helpful and fun to use, and it definitely sounds cool when I tell my patients, “Oh, I’ll just use my laser for that.” Last week I attended a Laser Course in Sacramento all about my diode laser. I learned some exciting new uses for it that I can’t wait to try out! There’s always new research coming out about uses for lasers and their efficacy. Don’t be surprised if, in 5 years, a laser is used at every dental appointment you have. The future of laser dentistry certainly is exciting.